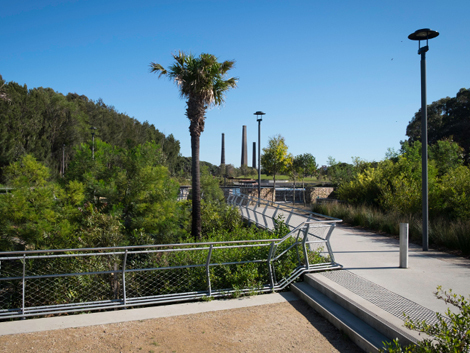 Set across almost 40 hectares of open space on the edge of the CBD, Sydney Park once epitomised Sydney's industrial origins. 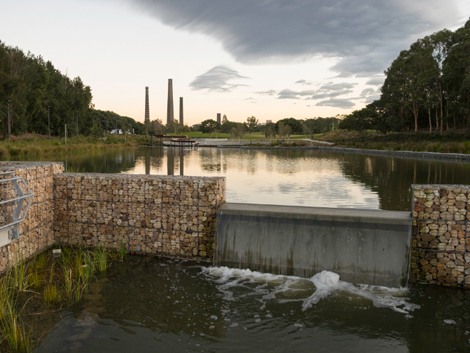 More recently, the park which sits atop the former brick works and Tempe tip has become home to NSW's largest stormwater harvesting project. 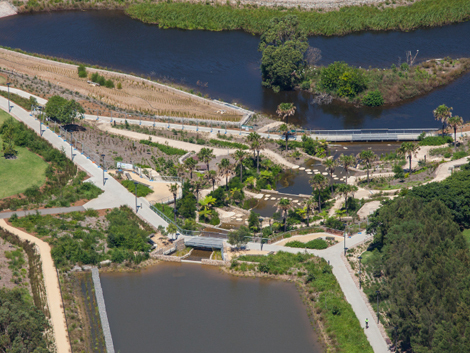 The area is a major example of sustainability within the urban framework and is capable of diverting, cleaning and harvesting stormwater for re-use and re-distribution back into the Alexandria Canal. 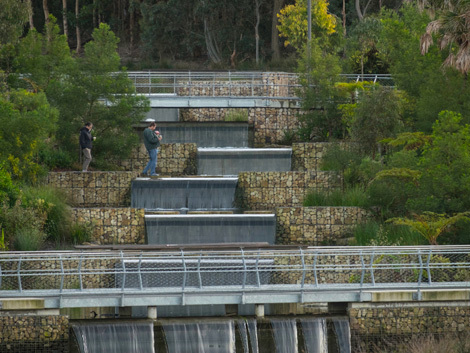 With four major wetlands, a series of cascades, new bridges and reviatlised open spaces, the park comes alive as adults and children alike explore the variety of wetland zones and journey throughout the Cascades.